It's hard to make child pastimes look cool and boyish without being cutesie. But when I stumbled on the I Scream image below by Little Lark, I couldn't start clicking around fast enough on their site...just soaking in all the designs. 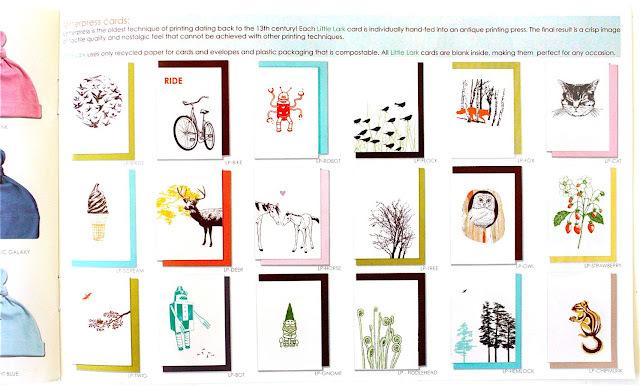 From baby onesies to kid shirts to fridge magnets and even letterpress cards, everything they do is just...cool. Seriously. Browse around and you'll want to buy it all (and wish you were eating that chocolate cone while walking the beach boardwalk). 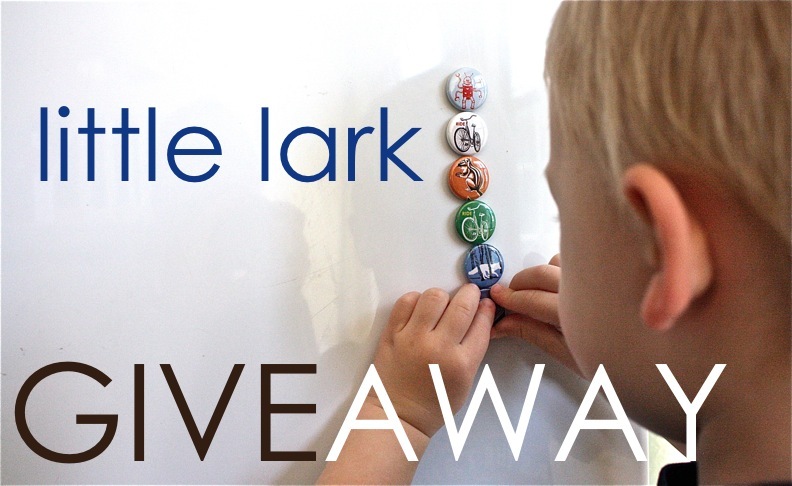 So I asked Little Lark if we could host a giveaway from their shop. And along with saying yes, they sent me these cool fridge magnets. When I pulled them out, Owen was totally excited, "Mom! You got some cute little magnets!!" Then he immediately lined them up vertically (like a rocket) and yelled "blast off!" So if you've never been to Little Lark, head over and browse through the fabulous items they offer. And then enter their giveaway! 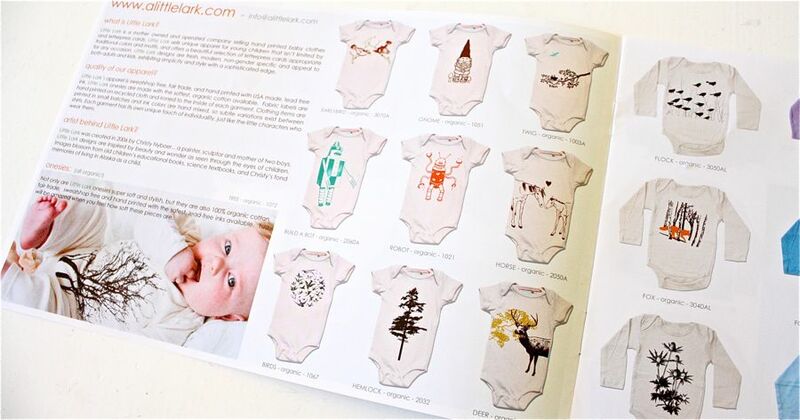 Winner #1 will get their choice of an infant bodysuit or a children's t-shirt. Winner #2 will get a small journal with a set of 3 rainbow pencils and button. * Open to US and Canadian readers only. * Giveaway ends Saturday 2/19/11 at 8pm (Central Time). Winners will be announced on Sunday. OMG I love this store!!!! So cool! And I found that their items are sold at 2 shops in a nearby city! My son would love one of those shirts! Wish me luck! Awesome store. You really know how to find the good ones on etsy! My boys would love to wear a bunch of these designs! I WANT A GNOME SHIRT!! It IS a great store! I'm off to buy that robot onsie right now! Thanks for another great giveaway. I am having a Celebrate the Boy blast! What a great company and giveaway!! I would LOVE to win this, but I would have a hard time choosing. I have 3 DS's aged 8, 4, & almost 10 months. SO SO cool! 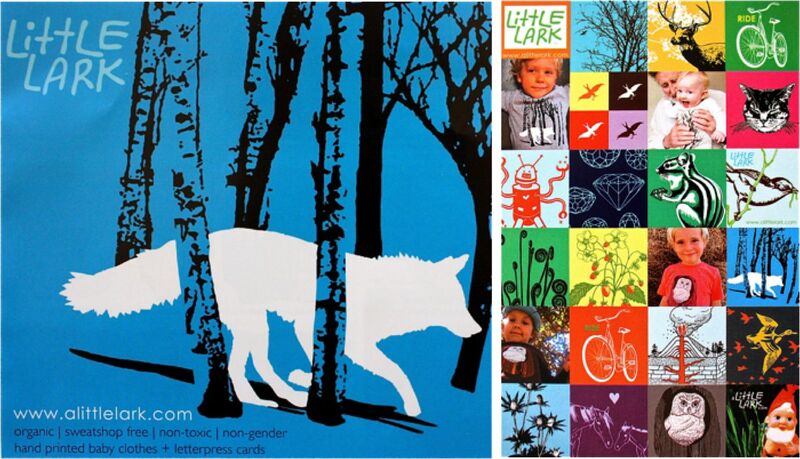 Never heard of Little Lark, but now it's on my permanent radar for boy stuff. SO cute!! i would LOVE to win!! I love it all, I've never seen such cute boy stuff! I LOVE this place! So simple and cute! Thanks! I love the hats! With two little boys and another one on the way, I am loving Little Lark and Celebrate the Boy 2011! Thank you for showing me that it is possible to make cool stuff for little boys! My little monster would love those magnets too. What a wonderful little shop! Their designs are so cute! I absolutely love the wide variety and amazing designs. Would love a shirt with a bicycle on it for my 3 year old! Love this store...and their stuff would look perfect on either of my little boys! So adorable! Love their stuff. hooray for cool boy stuff! crap. email is erin malia gmail. sorry. Goodness, I need the volcano onesie for my little guy! Awesome. Ooo. I'd really like to win a fun t-shirt for my lil' guy. That is such a cute store! I am in love with these t-shirts! I have never seen or heard of this store before, but now have fallen in love! Amazing. A perfect blend of charm and masculinity! Fun stuff! They have such a great selection that it would be almost too hard to choose! Thank you! I am SCREAMING for that I Scream design! So far I'm loving boy month!!! All their stuff is SOOO cute. Thanks Made and Little Lark for the giveaway!! Oh, these are perfectly boyish! So modern and all...well...boy! So cute. I'd love to win. I have a five month old baby boy and look forward to do some sewing for him! These are killing me, they're so cute. I LOVE them. Hope I can win something for my 16mo boy! jenny and sullivan and parker at comcast dot net. It's so great to find sites that sell cute BOY'S cloths. They have adorable stuff. Really good stuff! Would love this for my new nephew. How cute is all of this? Awesome! This is an incredibly cute store! Very boy friendly! I'd love to win a cute shirt for my little guy. Thanks for the chance! Thanks for introducing this shop with cute stuff for boys! Lovin' on this awesome boy stuff! Thank you so much for introducing me to this AWESOME store! I'll take one of everything, please! Love them! My little guy would love to wear them. those magnets are so cute! Can we say awesome? Yes, I believe we can! Wow, those are some cool designs! There are great boy & girl tees! Those designs have my little boys written all over it! My sister would love this for her little guy. These are great! I love the designs and think I want them all! Would love this for either my little toddler or the boy due this summer! love these items...clothing and paper products...thanks! Thank you for the awesome giveaway! They have such cool designs-I think even my picky little guy would be thrilled with them! I started reading your blog because of celebrate the boy the first year! Thank you for the chance in the giveaway! Great stuff!! I'd put my 3 boys in all of it! I don't care if I win! I'm about to go blow my allowance there :) (but winning would be nice too). This is awesome, I love it, glad I was introduced to it. This store is great! Thanks for sharing! I love that little hat with the bird! So cute! Love those graphics! too cute. Sweet! These are really fun! Thanks! such fabulous designs. love those magnets. This store is so fun! I'd love to win something from them! Cute cute cute! I love the nature-inspired designs, and robots are so cute on little boys! I was looking forward to Celebrate the Boy for all the cool projects to try. Who knew so many cool stores and giveaways would be included! So many cute things at Little Lark. And the multi-colored pencils would be so much fun! Oooh cuteness! Thanks for the opp! My sister-in-law is having another baby so I'd love the onesie! always fun to find a new source for cool boy items! I love celebrate the boy! This is store is what I have been looking for. I'm expecting a boy in April and have been searching for cute onesies. Love it! I am in love with the "i scream" tshirt! I have three little boys, and all three could wear that one proudly. LOL! camillemalucci at yahoo dot com. Boyish and unique without resorting exclusively to skulls and crossbones. Hooray! thanks for introducing me to a new shop, love it! those are some nice ideas for boy applique! Such a great store. Love the robot with fork arms! Thanks for a chance to win. This stuff is so cute! What a great shop! Thanks for sharing it, can't wait to look around more! I love this shop... thanks for sharing! I think I'll be spending plenty of money there in the future on adorable clothes for my little boy. Adorable stuff! Thanks for the intro to this great shop! This stuff is so dang cute. I love all of it. I hope I win! There stuff is perfect for little boys. I am currently trying to redo a nursery into a big boy room and this was great inspiration! What a great little shop. I love, love, love the gnome shirt. Thanks for the chance to win! 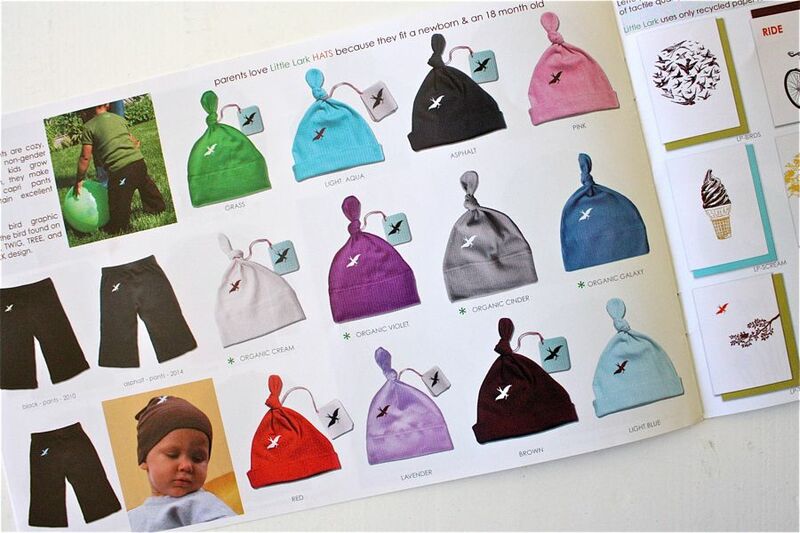 Love it and much needed for pending baby boy. Thanks! Umm...holy cow those things are cute! Love, Love, Love the gnome! its so hard to find cool store for boys and i must say this is one awesome store!! How do you find all these awesome stores? I love the chipmunk shirt! Thank you so much for doing this! I love letter press cards! Too bad they don't make the bike briefs for boys, too... so adorable. i love their onesies and t-shirts! I might be a little biased, but I think one of those shirts would look particularly adorable on my 12-month-old little man! I hope it's my lucky day! Cool kids clothing. I hope I win! Super awesome store! Super awesome giveaway! Wow! That is so cute and you're right, there isn't a cutesy piece among them. That's awesome. Crossing my fingers we win something for our baby girl! Thank you! expecting my first boy in two months... super excited! great boy stuff! Those magnets would light up my little boy's eyes, too! just found out my second is a boy...hope I win! love the designs in this store! Awesome stuff! I'd love to put my boys in those shirts! So unique and wonderful! Thanks for sharing this giveaway. Oh I hope I win. All of their stuff is so cute. It's hard to find cute little boy things with 2 boys.